Limited supply on these wonderful green paisley oval shaped beads. 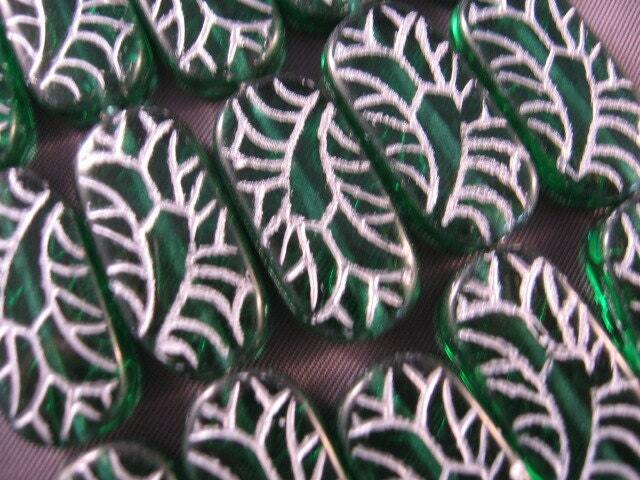 These are Czech pressed glass beads and measure 12mm x 24mm. 6 beads.